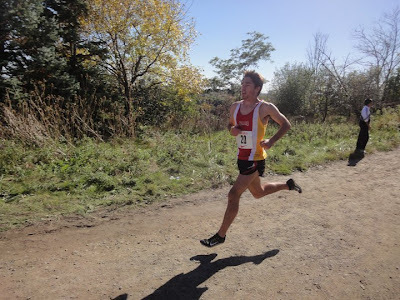 Canadian freshman Rob Denault (above) ran a course record and won the individual title at yesterday's Jack Saint Clair Memorial at the Liberty Bell course at Belmont Plateau. Denault, running unattached (he's being redshirted this cross season), covered the 5-mile course in 26:22.85. First in a Villanova singlet was Chris O'Sullivan, who was one stride behind Denault in 26:23.34. The Villanova men took the top five spots of the 85-person race.